It is with your generous support that Open Doors helps persecuted Christians in over 60 countries around the world. 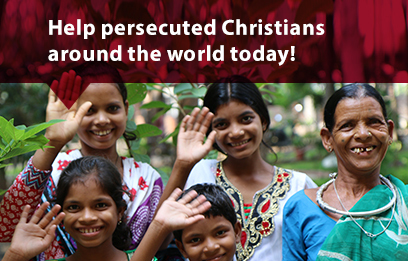 Join with us by donating to help meet the greatest needs of persecuted Christians around the world! * Tax deductible receipts will be issued for USA residents only. Yes- I want to be a Frontline Partner. Please make this donation monthly.